Many actors in global health are concerned with improving community health worker (CHW) policy and practice to achieve universal health care. Ethnographic research can play an important role in providing information critical to the formation of effective CHW programs, by elucidating the life histories that shape CHWs’ desires for alleviation of their own and others’ economic and health challenges, and by addressing the working relationships that exist among CHWs, intended beneficiaries, and health officials. 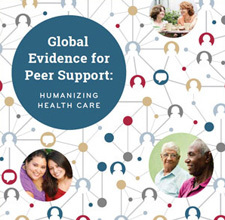 We evaluate the effect of clinic-based support by HIV-positive Peer Mentors, in addition to standard clinic care, on maternal and infant well-being among Women Living with HIV (WLH) from pregnancy through the infant’s first year of life.